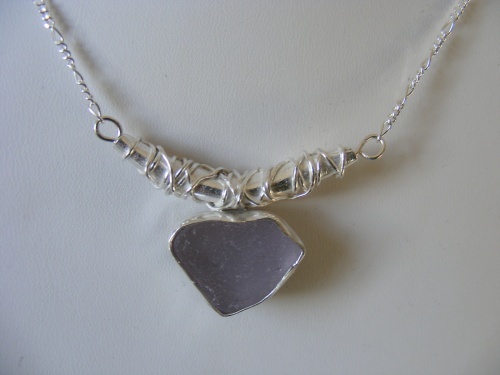 This pretty sterling silver and authentic seaglass necklace is unique and yet very sweet to the eye. Soldered seaglass found in Maine by me. One of a kind. Comes on an 18" sterling silver chain.